Crafted an updated, beautiful, modern website for this influencer marketing start up with hundreds of thousands of daily active app users in the lead-up to an important pitch in front of hundreds of music industry leaders and investors. I designed and wrote custom code to make a destination for both fans and investors that highlighted Shimmur's team, story, and brand capabilities. The site received tens of thousands of visits that month, triple as many as the month before. 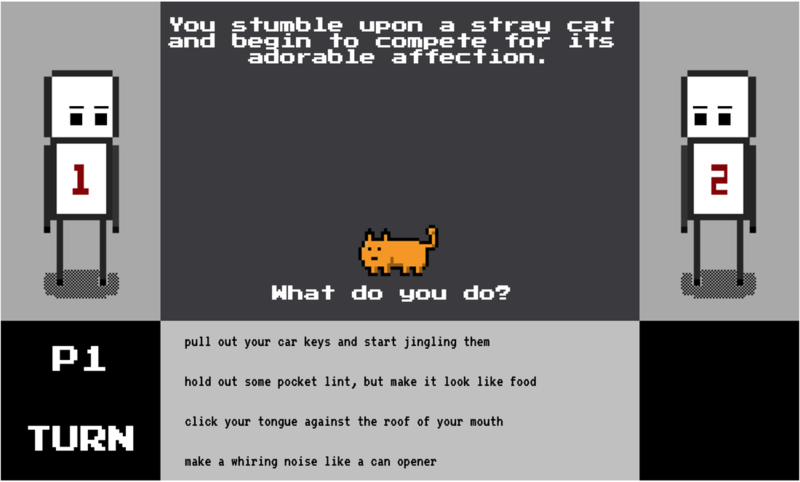 A solid example of my Worpress work. 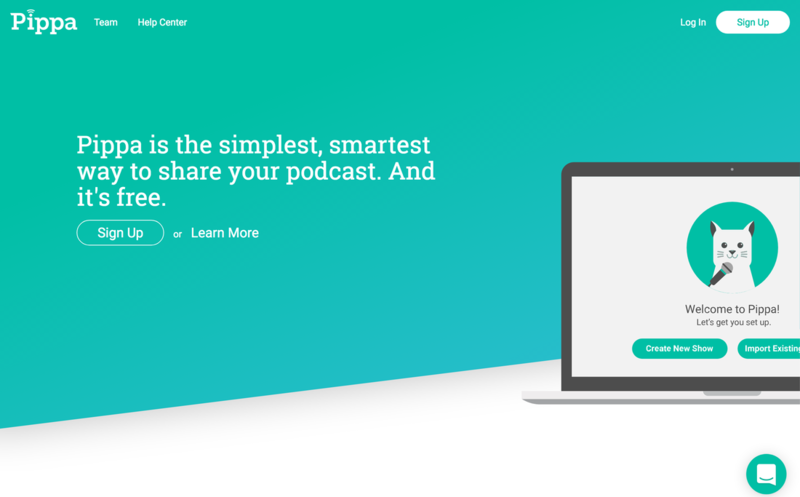 Pippa is a podcast host and advertising platform that needed a new website to reflect their new capabilities and branding. They wanted a simple site that conveyed who they were, what they were able to accomplish for their users, and why their existing users loved them. The site also needed a clear call to action to generate new interest. Mission accomplished. Myproducer.io is a fully fledged project management application I built from the bottom up for a client. 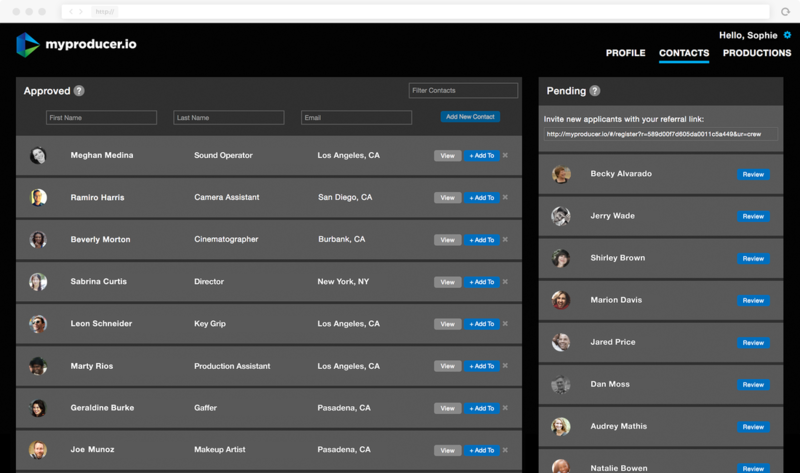 It aims to save video producers time by allowing them to recruit, manage and build production teams, then create and hire for video productions from those teams, all from one dashboard view. Aside from matching the styling requested by the client, the website uses Node.js, Express, Angular and MongoDB to create a data-driven single page experience for the user. It also, features in-app messaging and notification emails. 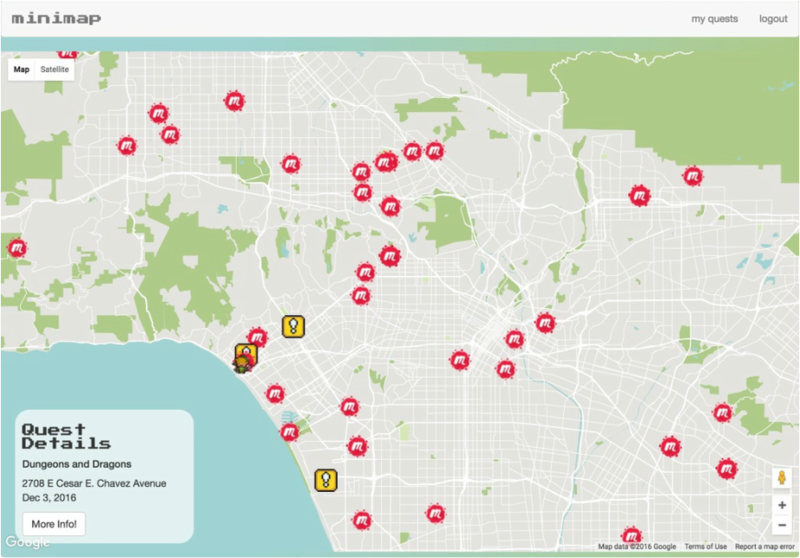 Minimap is an application I built in a week to help fellow nerds find and share events near them. It uses third-party APIs and the full MEAN stack of technologies to deliver responsive single page functionality. 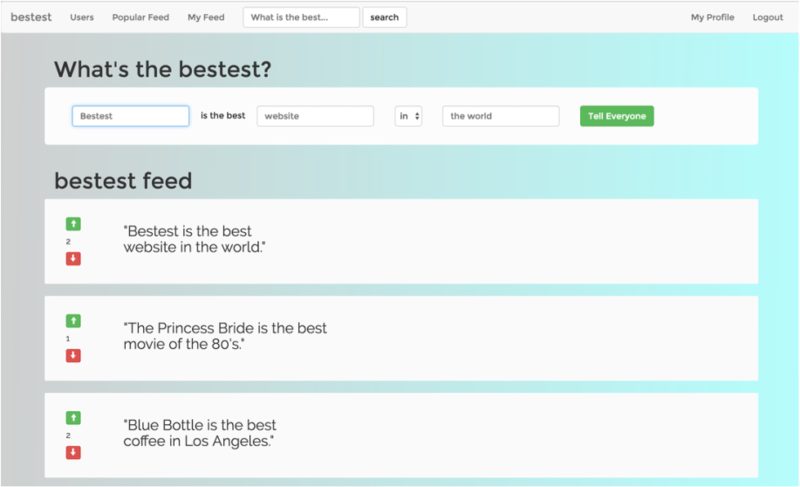 Bestest is a Ruby on Rails application I built from scratch during a weeklong sprint that aims to help opinionated people share their stongly held opinions and upvote the opinions of others.